You probably missed the news that the members of the overwhelmingly Republican state Senate finally came to their senses Monday and voted to expand Medicaid under the Affordable Care Act and provide health care to hundreds of thousands of people. Another Republican told a reporter that he couldn’t believe it took the state so long to embrace Medicaid expansion. There’s a reason you likely missed this monumental decision. It didn’t happen in North Carolina. It came in the Kansas, in the state Senate where Republicans hold a supermajority. The Kansas House, where Republicans also hold a supermajority of seats, has already approved expansion. The bill soon heads to Governor Sam Brownback who has long opposed expanding Medicaid and is likely to veto the proposal, setting up a showdown with the legislature that may have the votes to override him. Thirty-one states have already expanded Medicaid, roughly half of them with Republican governors including New Jersey, Nevada, Ohio and Indiana—when former Governor Mike Pence was in charge. Former North Carolina Governor Pat McCrory flirted with Medicaid expansion but never presented the General Assembly with a plan despite the overwhelming benefits to the state—insurance coverage for several hundred thousand people, billions of federal dollars to help struggling hospitals and thousands of new jobs. Republican legislative leaders have adamantly opposed expansion since they took over control of the General Assembly with much of their opposition based as much on their dislike of President Obama as any objections to the specifics of what expansion would entail. Their ideological arguments rang increasingly hollow as Republican states starting signing up for the program but lawmakers refused to budge. After the November election they claimed the push by the Trump Administration to repeal the Affordable Care Act made the issue irrelevant, despite claims to the contrary by new Governor Roy Cooper who has called for Medicaid expansion repeatedly since taking office. It’s actually now more important than ever given the failure last week of Trump’s effort to repeal the federal health care law. One of the sticking points in that effort was what to do about the 31 states that have expanded Medicaid, with Republican governors from those states demanding that they be treated differently from states that have not expanded the program. The failure of Trumpcare to pass the House was cited by legislators in Kansas as a reason for expansion in their state. U.S. House Speaker Paul Ryan said last week that the Affordable Care Act remains the law of the land and that means states can still expand Medicaid to provide health care coverage for uninsured low-income adults. Kansas is on the way and Maine may be too with a referendum scheduled on expansion this November. There is little doubt where the people of North Carolina stand. Numerous polls have found strong support for Medicaid expansion. Even an absurdly biased question in the last survey by the right-wing Civitas Institute confirms that. Even with that question clearly designed to influence responses, Civitas found that 54 percent of voters support expanding Medicaid, while 32 percent are opposed. Imagine the result if folks weren’t misled before they were asked. Or if they were reminded of the benefits. Expanding Medicaid has made sense from the beginning of this health care debate. That’s why Democratic and Republican governors have expanded it and why states like Kansas and Maine are considering expansion now. It’s been 13 years since noted journalist and historian Thomas Frank wrote his widely read book “What’s the Matter with Kansas” about that state’s conservative voting patterns that were out of line with the state’s economic interests. 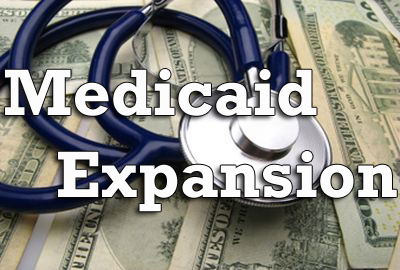 Now Kansas of all places is now pushing ahead with Medicaid expansion. It’s time to start asking what’s the matter with North Carolina when it comes to an obvious way to create jobs, help hospitals and most importantly provide health care for 350,000 people who cannot afford it. Or maybe more correctly, what’s the matter with the people in charge of the General Assembly? 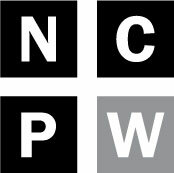 Chris Fitzsimon, Founder and Executive Director of N.C. Policy Watch, writes the Fitzsimon File, delivers a radio commentary broadcast on WRAL-FM and hosts "News and Views," a weekly radio news magazine that airs on multiple stations across North Carolina.